Everyday Looper allows you to record 4 musical phrases - 6 on an iPad - and loop them right away. You can then mix and merge them on the fly. Thanks to the metronome (click track) and the auto start/stop of recording (quantized recording), reachable in the tools and options menu, it's suited for two-handed instruments too. Search YouTube for "Everyday Looper" to see many great user videos ! • Restore the previous version of a track modified by recording, erasing or merging. • Send individual tracks or mixes of your loops, in AAC or WAV format, by email. • Tap or swipe on displayed waveforms to play / pause / stop / record / change volume / erase. 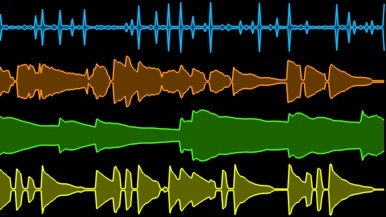 • Auto-normalization of each track to reach their maximum non clipped volume by the swipe of a finger. • Master Limiter to not worry about clipping after tracks mixing. • Merge one track with another one in real-time, with limiter. • Choose your recording mode between Overdub and Replace. • Automatically start/stop recording at the beginning/end of a loop, as an option. Perfect for instruments that require your 2 hands. • Pan your tracks in the stereo field. • Very useful for switching between a track you use as a chorus and another one you use as a verse. Optionally quantizable to loop. 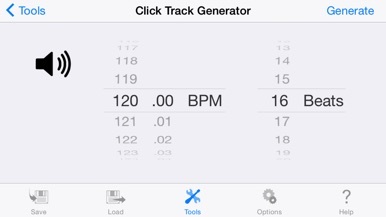 • Metronome track generator to create a X clicks at Y BPMs base track. • Copy and paste tracks to and from other audio apps. Great for using that nice beat you laid down in BeatMaker as a "de luxe" metronome. • Record, Play/Pause and Stop can be triggered by a MIDI controller. • For you tracks to be perfectly synchronized. Sub millisecond precision. • Export your tracks to your computer over WiFi in 44100Hz/16Bits Wav format. • Record channel 1 or 2, both simultaneously or as a stereo source. Require an audio device that provides 2 input channels such as the Alesis iO Dock. • Up to 45 seconds of recording for each track. 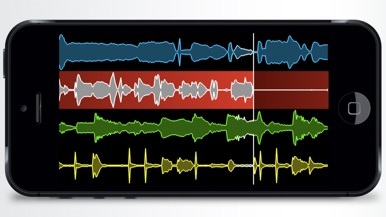 To be noted : This app is all about recording. No pre-recorded samples are included and iPod Touch users will need an external microphone.